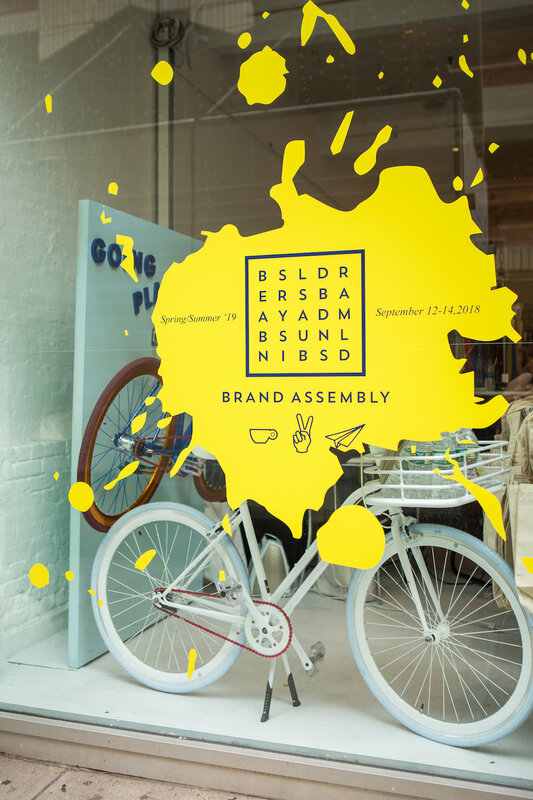 At Brand Assembly, we are always looking to break new ground and help emerging designers go further than they might have thought was possible. So as our trade show season kicks off, we launched an initiative that really embodies our mission. Enter Going Places. We debuted our third city for our trade show a year ago and spent about the same amount of time focusing on building our three cities from sourcing the venues to building out the brand and buyer rosters. After a full year of operating at full capacity producing three cities, we felt it was time to tie it all together. 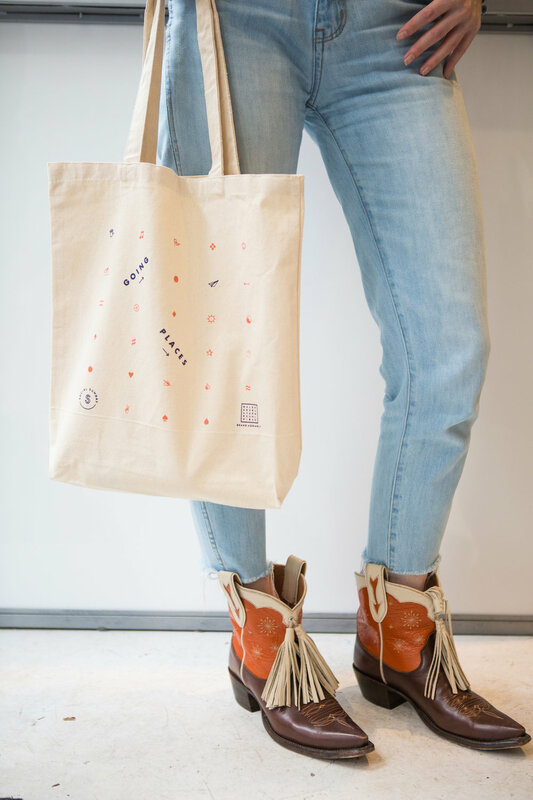 To us, "going places" means that we want our brands to be able to feel like they have a home and can really go places to get in front of buyers. 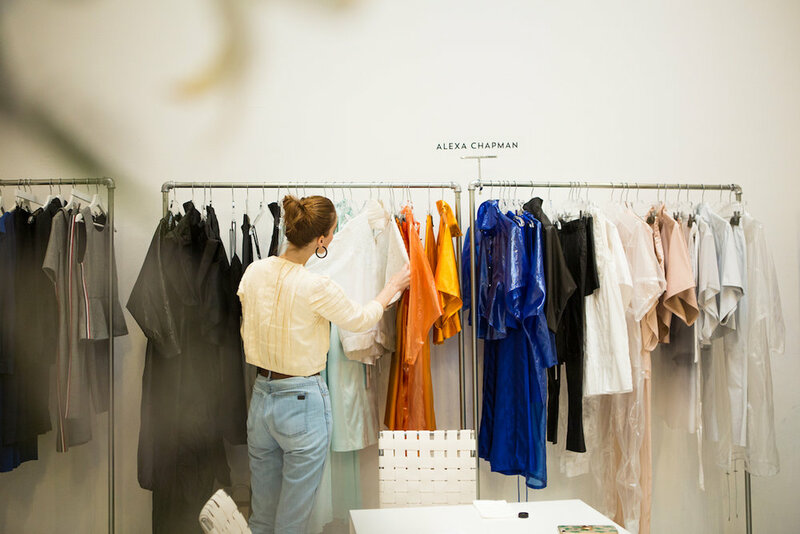 We also want buyers to understand and have that familiarity with Brand Assembly and know that it is the same show in Los Angeles, New York, and Dallas. The meaning for Brand Assembly is that all of our hard work over the past five years is truly paying off — we really are the only business of its kind that has been able to expand its reach in a uniquely memorable way. 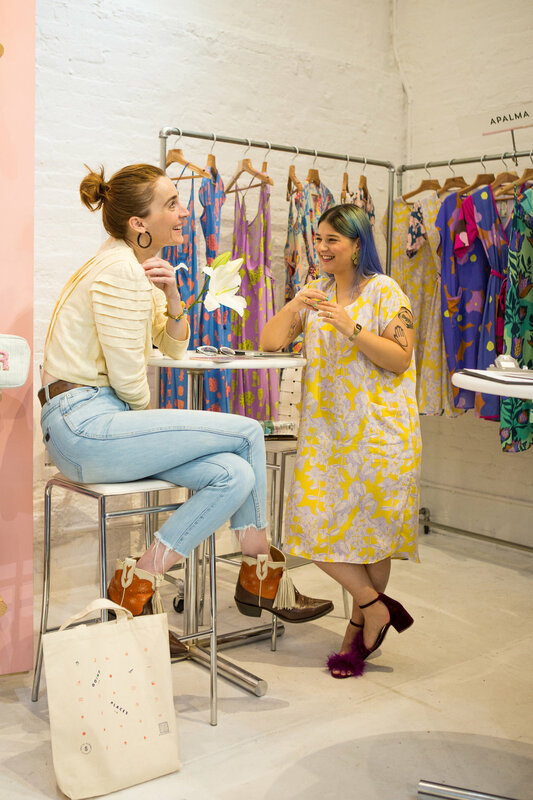 Not only do we have trade shows, but we also run two permanent co-working spaces on both coasts, event programming, and a logistics and accounting arm that most people don’t know we have. More on all of this later! As a team, we found ourselves going to new places this season too — and quickly! For our New York show this year we ended up in Soho, which is not our regular NYC venue, but ultimately it ended up being a blessing in disguise. Our usual site canceled our booking only five weeks out, and luckily I was already familiar with 201 Mulberry and knew that everyone would be happy with the location due to the timing of both NYFW and market week. As a ground floor venue, the space itself was ideally situated as it was easy to spot and also added some buzz and excitement for neighborhood dwellers and onlookers. Overall, the timing was excellent and the location suited Brand Assembly's personality. It was fun to be downtown, and I think everyone enjoyed the change of scenery. In addition to going to a new neighborhood, we also launched our Favorite Things initiative which I am personally excited to build upon in seasons to come. This program is special as it's also a nice way to tie in our team’s perspective on what they see and love in the market but also what they personally want to purchase. It also introduces a new way of getting smaller brands to all cities and eliminates the expense of a large booth or travel costs. 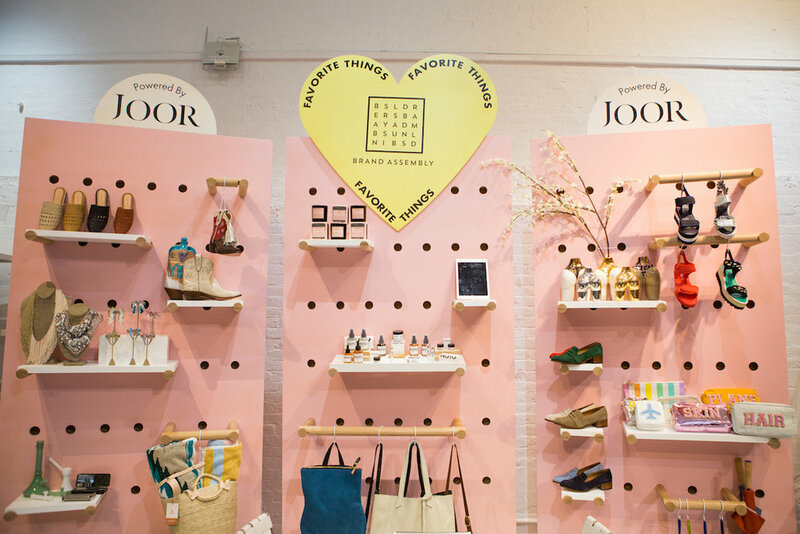 By having the Brand Assembly staff facilitate the sales through JOOR (an online wholesale marketplace), this could be something that evolves into a bigger experience, ultimately broadening the reach of brands without a huge expense! Overall we learned (and overcame!) a lot during this show, and we're excited to keep the momentum going all show season long. Regarding where we're going next, we have two upcoming panels on both coasts over the next few weeks. Our New York panel is scheduled for the evening of the 27th and will focus on the business of branding. Stay tuned for more information on our Los Angeles panel (which will include some incredible power women) coming soon! But no matter the destination, you're invited along for the ride here on The Assemblist and social media at @brandassembly. Stay tuned to see what we're assembling daily.